Duke is a freshman juggernaut this season, but will it last more than a year? The Duke Blue Devils are easily the most hated team in college basketball. In recent years, they have received heavy criticism for their refusal of the one-and-done epidemic. This recent trend in college basketball is when a highly talented high school player will play college ball for a year, then go to the NBA. Some say that it’s a wise choice to not waist talented players or risk an injury in college. But the majority believe that it’s damaging the sport, taking advantage of the colleges that expended multitudes of time and money on these young athletes. Duke has lost numerous highly ranked recruits to other basketball powers like Kentucky, because schools like Kentucky invite the player’s professional hopes. This year Duke went out of their comfort zone by giving up the hopes of a top recruit playing four years. To the surprise of the entire basketball world, they singed the top three recruits in the nation: #1 RJ Barrett, #2 Cam Reddish, and #3 Zion Williamson. Duke has had a reputation for having players that will commit to the process and spend all four years, even staying after they were projected to go top ten in the NBA draft, with players like Christian Laettner and recently Grayson Allen. 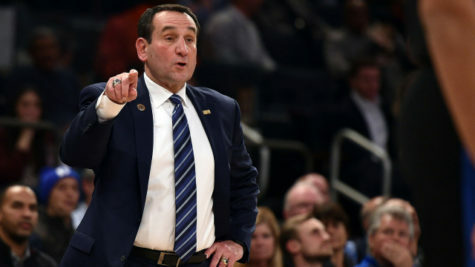 No one doubts that Blue Devils coach Mike Krzyzewski is one of the best, if not the best coach in college basketball, but everyone agrees that he is stubborn and has historically resisted the ways of modern basketball. With the signing of these big time, most likely one-and-done, superstars, Duke has changed the game. Coach K is known for his player development abilities, and top recruits seem to be waiting in line for a seat at the hottest restaurant in town. Duke opened up the year against one of their storied rivals, Kentucky. The greatest moment of this rivalry came when infamous four-year Duke star Christian Laettner drained a jumper as time expired to win the National Championship against the Wildcats. This year’s game was a battle between the top two recruiting classes, Duke first and Kentucky Second. Duke didn’t just dismantle Kentucky, they obliterated them with a 118 – 84 victory. RJ Barrett was the leading scorer with 33 pts. Cam Reddish had a relatively quiet night with 22 pts., but Zion was the star with his dominating style of play. 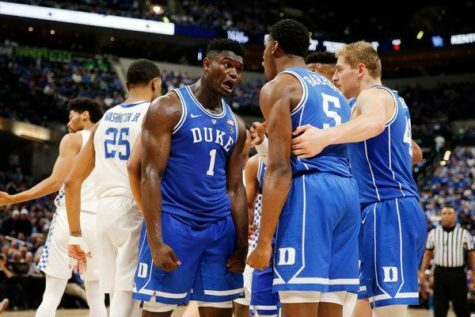 Zion is a monstrous 6’7”, 285 lbs. of dunking a blocking power, he had 28 points, but he was 11 of 13 on field goals. He was proof that Coach K. has done his developmental magic once again. 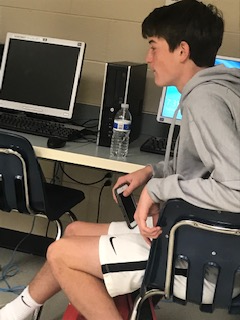 Cannon Newell making his case. 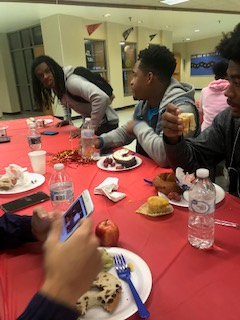 Senior Raquan Grant is getting passionate about his point of view. The Blue Devils are the kings of four-year college basketball, but this team is different in the most divine way possible. To me it looks like Duke is entering a revolution of youth, and if each team looks like this one, they might be achieving yearly National Championships. Some might believe that this new style of team building would hurt Coach K’s reputation, but I have feeling this will give him the image of an innovator and college basketball savant. 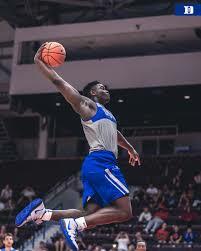 His ability to turn the best dunker in the country, Zion Williamson, into a balanced shooter while retaining his “King of The Rim” mentality is simply astonishing. I have high hopes for this uber-talented group of basketball superstars along with the rest of the country. I think the question we will all wonder come March Madness is, who on the bracket could take down this team of Titans?